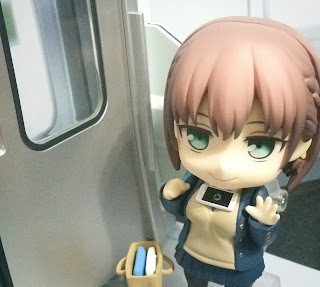 Although it's not a Monday, Ai-chan is here to greet you on a train! 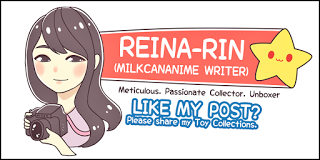 This is an unboxing review for Ai-chan from Getsuyoubi no Tawawa :) She comes with several accessories (smartphone, school bag, clothes in bag, and a hand-puppet salaryman)! 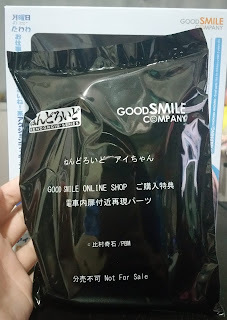 She also has a pre-order bonus exclusive to Good Smile Online Shop, which is the version I purchased. 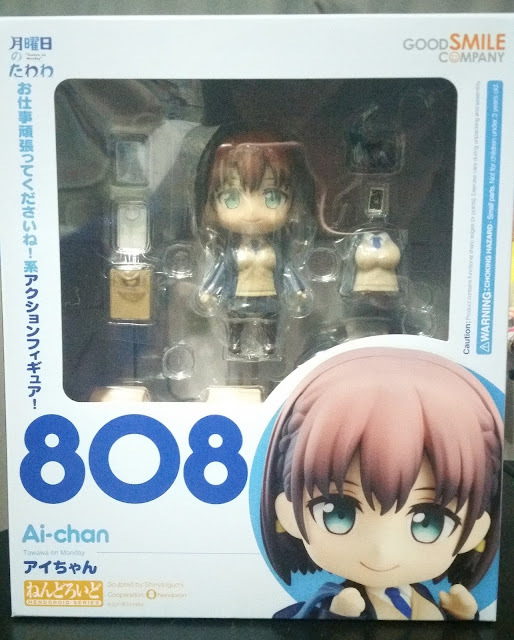 Unlike the feminine pink that I expected Ai-chan to come in, her box comes in blue instead. And strangely enough, it does suit her and even helps to bring out her blue-green tints in her eyes. 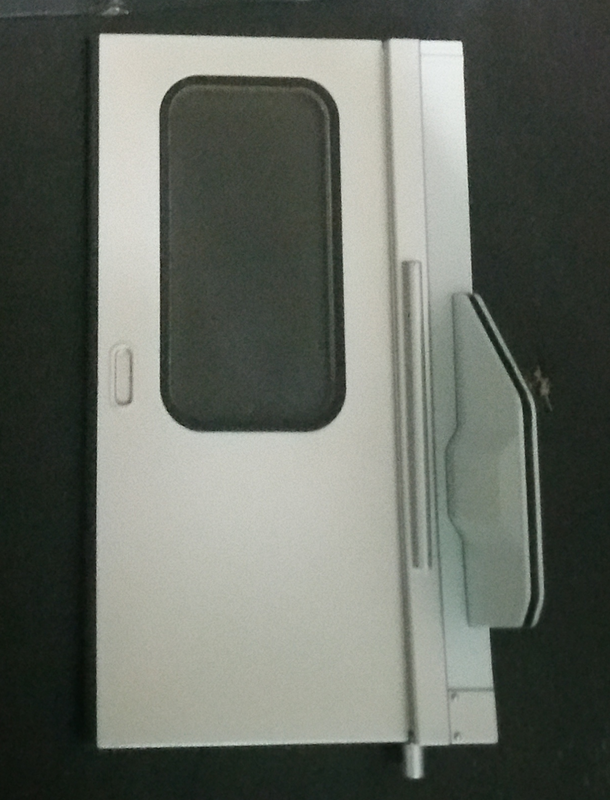 The exclusive pre-order bonus comes in a black sealed plastic and the bonus is one-half of a train door. This is actually quite a meaningful exclusive since there are many scenes that consist of Ai-chan and the train door so you can actually create many memorable scenes from the series with this! Ai-chan's faceplates are actually rather plain and doesn't have much in the way of changing expressions. She comes with another upper body that has her brown vest that's soft to the touch. 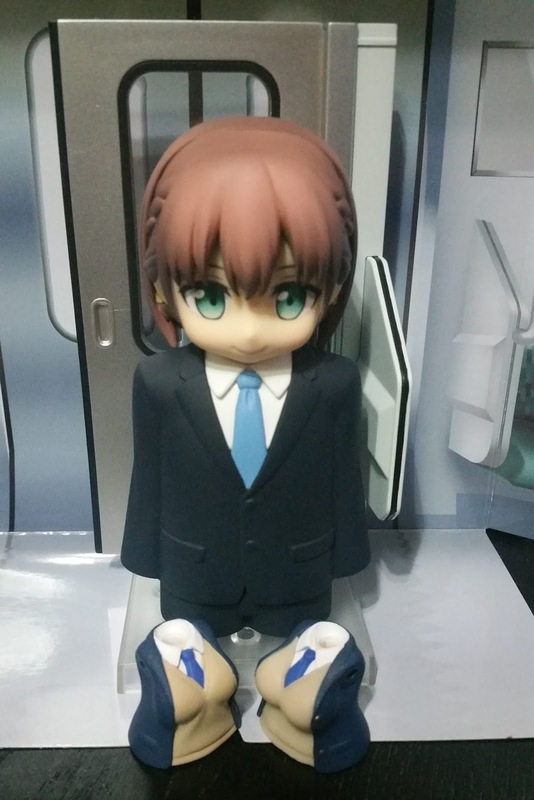 This might be exceptionally attractive to some collectors, but I'll stick with the usual Nendoroid body version instead. I'll still give a comparison of these two bodies later too. She comes with a brown paper bog that holds a change of clothes. 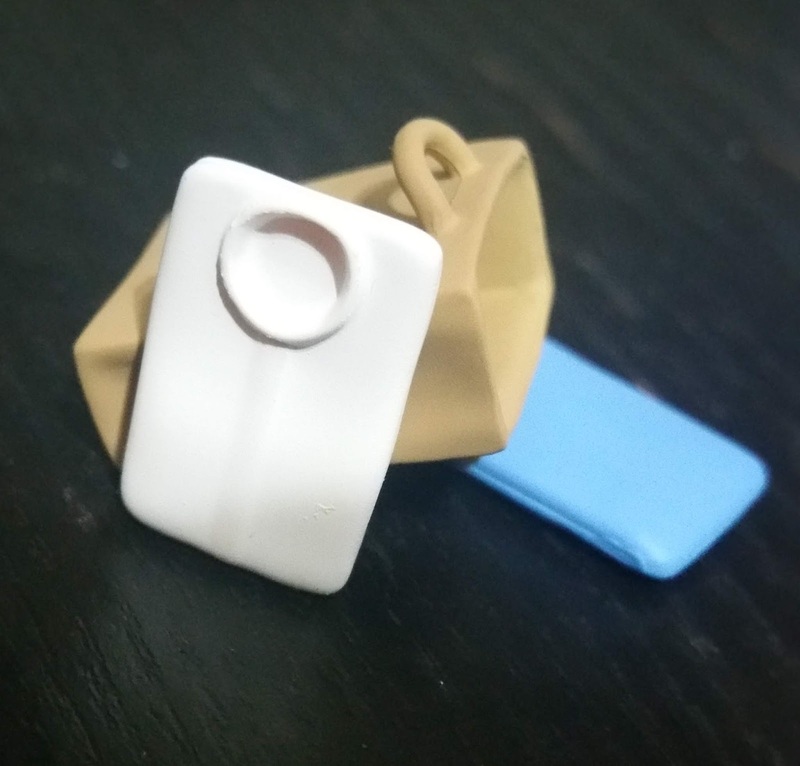 The white and blue attire can be removed from the paper bag as well, and they white shirt is actually sculpted fully with a collar and buttons down the front of it! 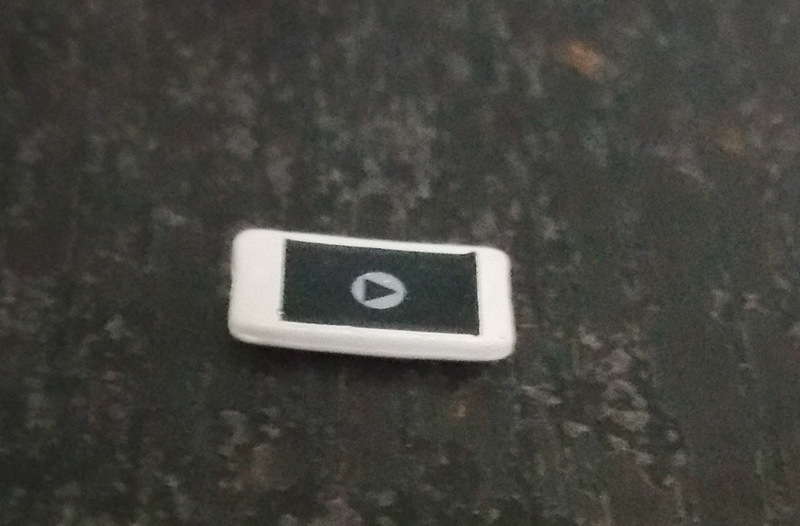 In addition, it also comes with a white iPhone with a paused video. This phone can be placed on Ai-chan's chest to recreate the scene from the anime. 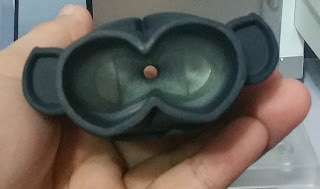 To keep it on her chest, the back of the phone is also fitted with unique ridges to hold it in place. It also fits into place better on the softer upper body as it is made of a more rubbery material that keeps the phone from potentially falling out of place. 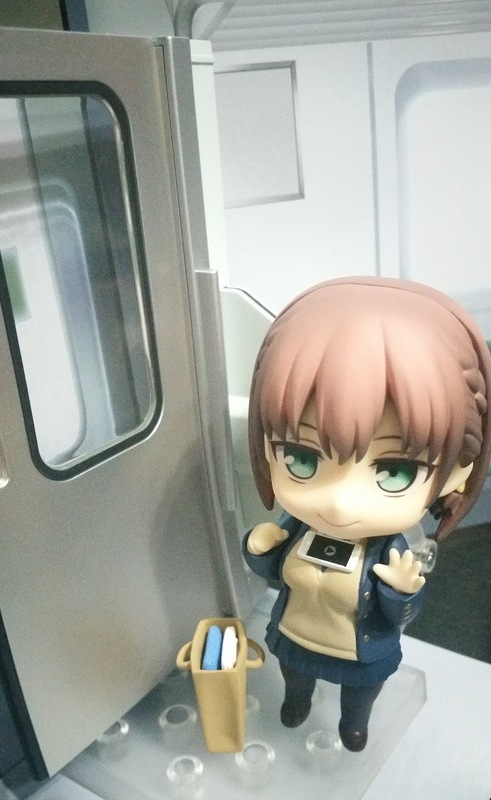 Do note that she doesn't come with any hand holding parts for the phone though. Ai-chan also has a rather unique hairstyle which consists of braids going down past her ears. The rest of her hair is just a normal straight bob. 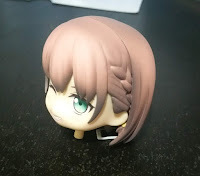 I love how the ends are delicately shaded, though they could have added more loose strands to the back of her hair to make it look more dynamic and puffier. Her school bag is sculpted well with all the different pouches you normally see on this style of Japanese school bags. There is only one extended band that you are supposed to sling over her shoulder. I found it rather troublesome to sling this into place so I opted to display her without the bag. 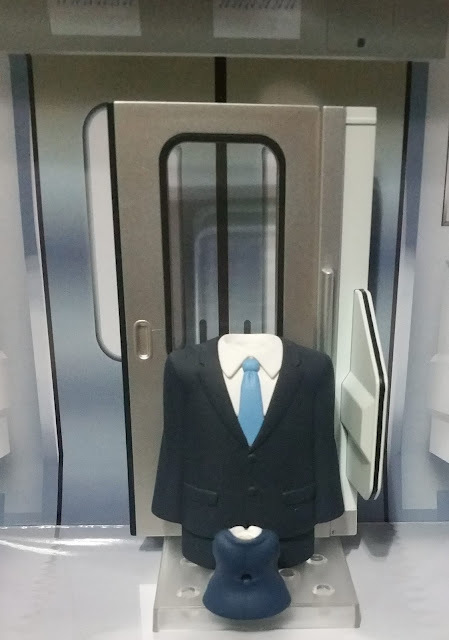 The hand-puppet salaryman is an additional part in the normal version of this Nendoroid, and I find that it's amazing that other than an additional upper body part, GSC actually also included this salaryman part as well! 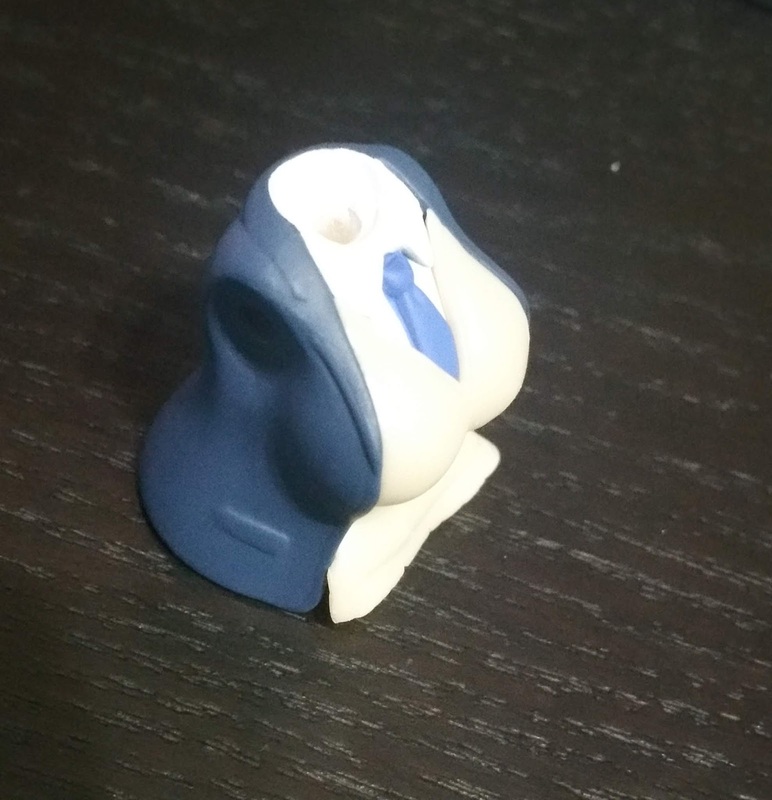 I do wish that they also included a faceless head part as well. The slacks for this hand-puppet is cut off to match Ai-chan's height... The difference in body size for Ai-chan and the puppet is rather hilarious to behold, but it would definitely look more well-matched after you put the whole of Ai-chan's Nendoroid together. 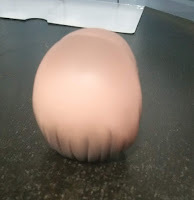 The slacks portion of the puppet gives you space to fit your index and middle fingers to move it. In addition, this also helps him to stand on a flat surface. Next up, it's the softer body for Ai-chan where only the vest part is soft. 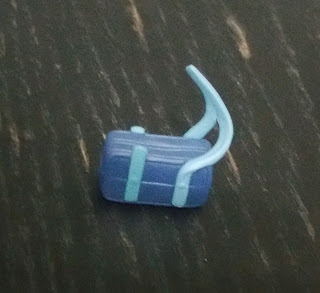 Do note that the paint job for this part is less pristine than the usual Nendoroid body, especially for the blue blazer when it meets the white collar shirt and the vest. 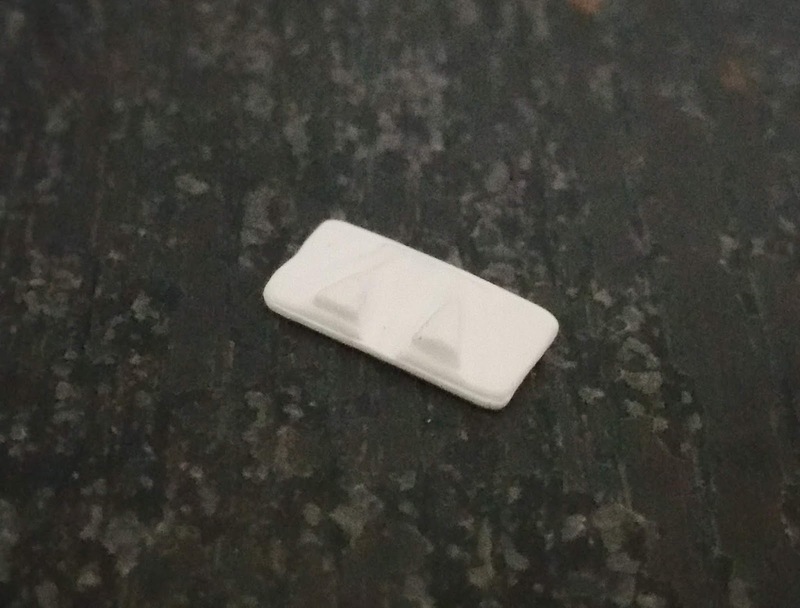 The bottom of the vest is also not completely straight-cut, and it doesn't appear to be part of the design. 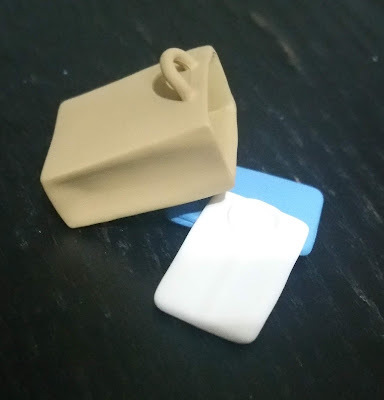 Due to the softness of the material, it might be possible that there was slight chipping that occured. Do note that the bottom is also not completely attached to the blazer, so be careful when placing the skirt part in place, such that you do not damage the vest. 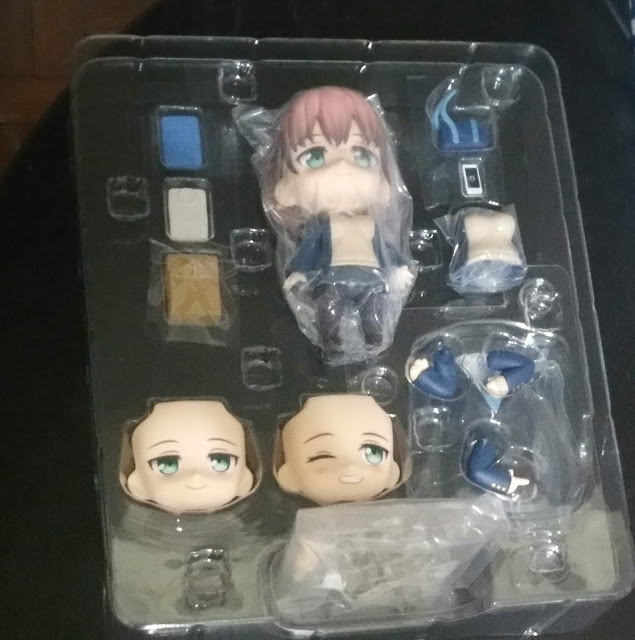 On the left side of the image, we have the usual Nendoroid body while the softer upper body part is on the right. As you can see, the usual body comes with a lot more creases and sculpting while the softer body appears to have fuller breasts instead. 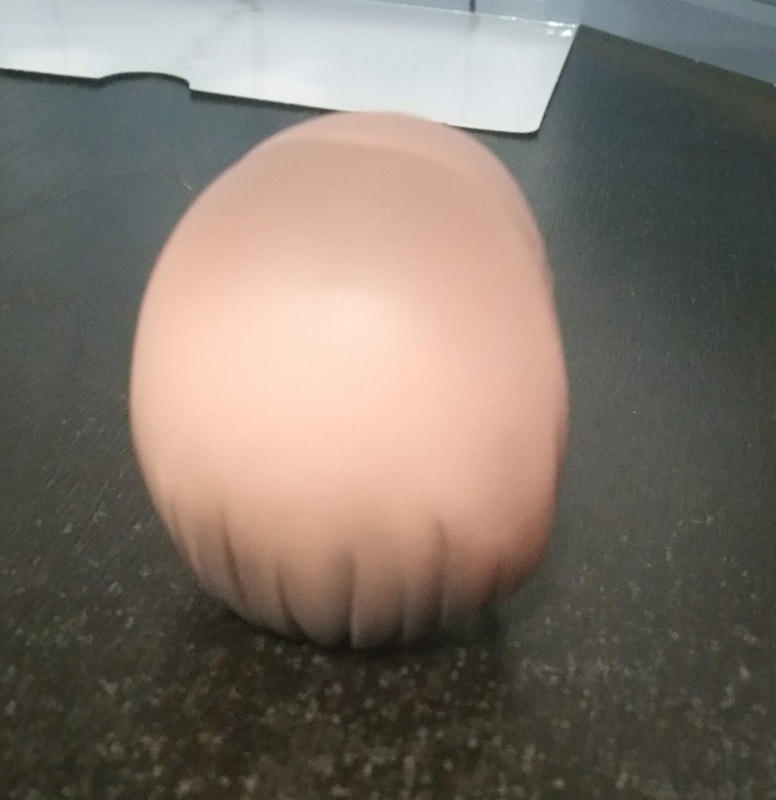 It also seems that the soft body part is much less resistant to dust and damage so you'd definitely want to take precious care for it if you choose to display the Nendoroid with it. You can obviously choose which body you'd rather use. 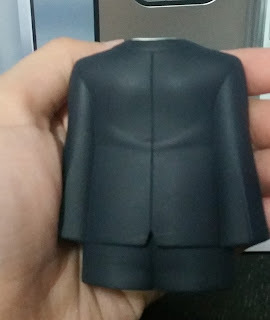 The back of two bodies are identical and comes with a peg at the same area, so they are definitely interchangeable. For starters, I put Ai-chan into a Nendoroid More: Office Lady wear to match the salaryman outfit. 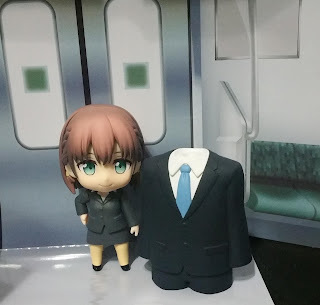 The 10cm height of Ai-chan's Nendoroid matches the salaryman well and illustrates how there is a height difference between them. The window of the train door is clear and has a peg to join it to the base so you can definitely use it from the other side as well. Seeing as you can even match this door for other Nendoroids, it would definitely be a bonus to get the exclusive version of this Nendoroid! 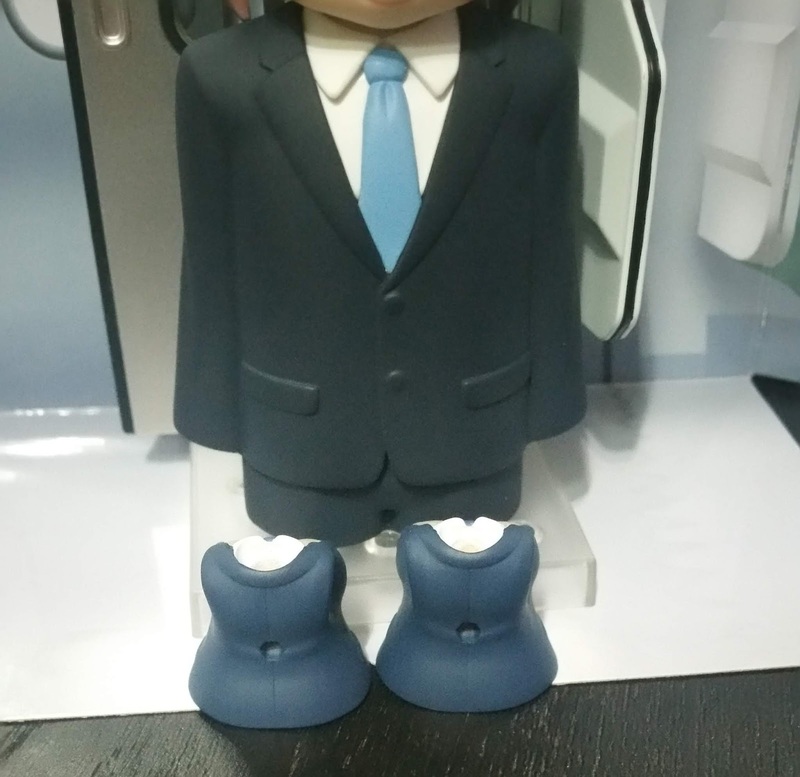 Other than the lack of variation in faceplates (which is justified as Ai-chan doesn't show that many expressions in the series anyway), this Nendoroid comes with a lot of different additional items that are rather unique, and would make it a good purchase, such as an additional upper body part and the salaryman hand-puppet. The more common accessories such as the school bag and phone can be used as side accessories in diorama too, and the paper bag of clothes is actually rather versatile! For instance, it can be used for a scene in a mall, or you can even swap the clothes in it out for anything else you'd rather put in the bag. This is definitely one of the Nendoroids that's well justified to get just for the accessories and for mixing and matching with your other Nendoroids! 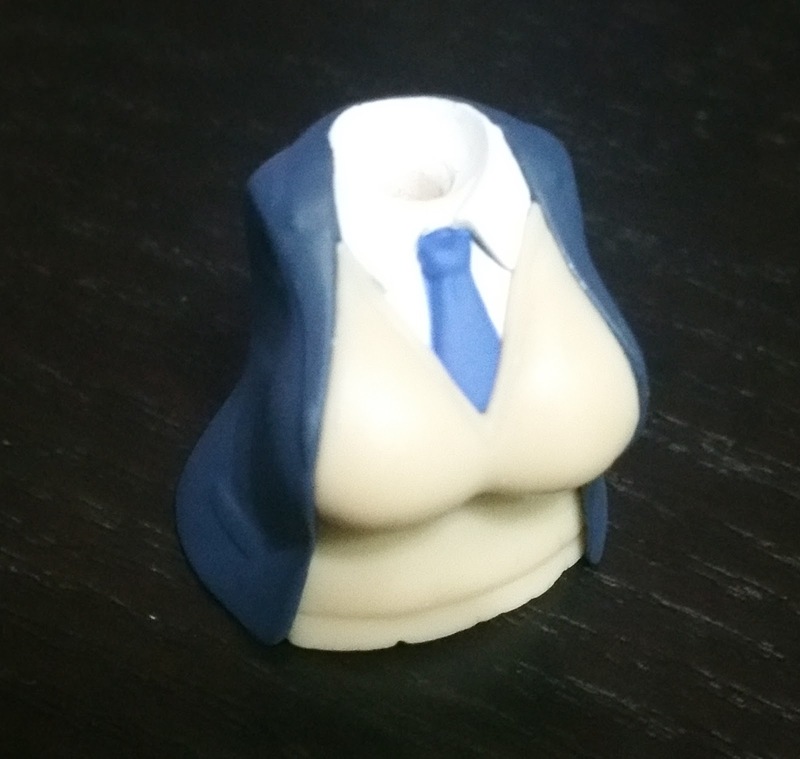 No Comment to " Figure Unboxing and Review: Ai-chan (Tawawa on Monday) "